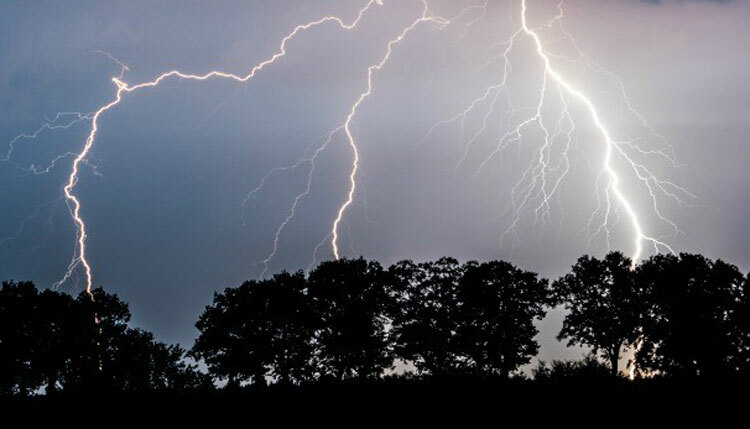 Four people including two brothers were killed in separate incidents of lightning strikes in Sylhet sadar and Tahirpur upazilas on Saturday. In Tahirpur upazila, Jahur Alam, 35, resident of Menjargaon village in Balijuri union, was killed on the spot after a thunderbolt hit him while fishing in a haor in the evening, said Upazila Nirbahi Officer (UNO) Purnendu Dey. In Sylhet sadar upazila, two brothers—Babul Mia, 8, and Imon Mia, 12, sons of Badar Uddin--and Abdul Amin, 20, son of Bilal Uddin were killed when a thunderbolt struck them while fishing at a haor in Mirergaon village in the evening. All the three died on the spot, said Shafiqur Rahman, officer-in-charge of Jalalabad Police Station. Later, locals recovered the bodies and sent those to Sylhet Osmani Medical College Hospital.